At your first appointment at our surgery we will examine position of your child’s teeth and jaw. As a general rule, we are already able to tell you whether orthodontic treatment is necessary at this appointment and, if so, when the treatment should begin and which of the costs will be covered by your health insurance company. Drawing up diagnostic records is necessary in order to assess the extent of the malocclusion or jaw misalignment and thus the extent of treatment required. Preparing the diagnostic records includes taking photos and radiographs as well as producing jaw models. In order to keep radiation exposure as low as possible, we only use state of the art digital X-ray technology. Depending on whether the patient’s milk teeth have been replaced by their adult teeth and the extent and severity of the malocclusion or jaw misalignment, we will generally start the orthodontic treatment of teenagers using removable braces. Once all of the adult teeth have replaced the milk teeth, this will then generally be followed by fine adjustment of the tooth position using fixed braces or with thin, transparent plastic aligners (e.g. Invisalign Teen). This stage of the treatment normally lasts between 12 and 24 months, depending on the extent of tooth movement needed. The teeth are then held in the straightened position using removable retention appliances or fixed retainers (thin, precisely fitting wires on the inside of the anterior teeth). Fixed braces – tried and tested and reliable! Fixed braces consist of brackets (fasteners that are bonded to the tooth surface) and archwires. At most orthodontic surgeries, fixed braces are the standard means used to perform precise and controlled tooth movements. There are a number of different bracket systems on the market, each of which has its own specific advantages and disadvantages. Over the course of the years, we have used most of the systems and are thus able to provide comprehensive advice on them. From a visual perspective, it is possible to make external fixed braces much more inconspicuous by using tooth-coloured ceramic brackets. Invisalign Teen – the removable, almost invisible alternative! A new system of removable aligners, specially designed for teenagers, which is often an excellent alternative to fixed braces for treating malpositioned teeth. The Invisalign® method uses a series of thin, transparent – and therefore almost invisible – plastic appliances called aligners to straighten the teeth. The patients change from one aligner to the next themselves every 14 days. 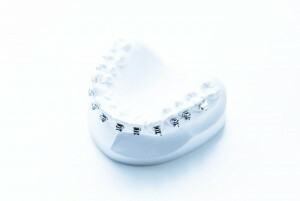 This allows the teeth to be moved to the desired final position from aligner to aligner in precisely defined steps. 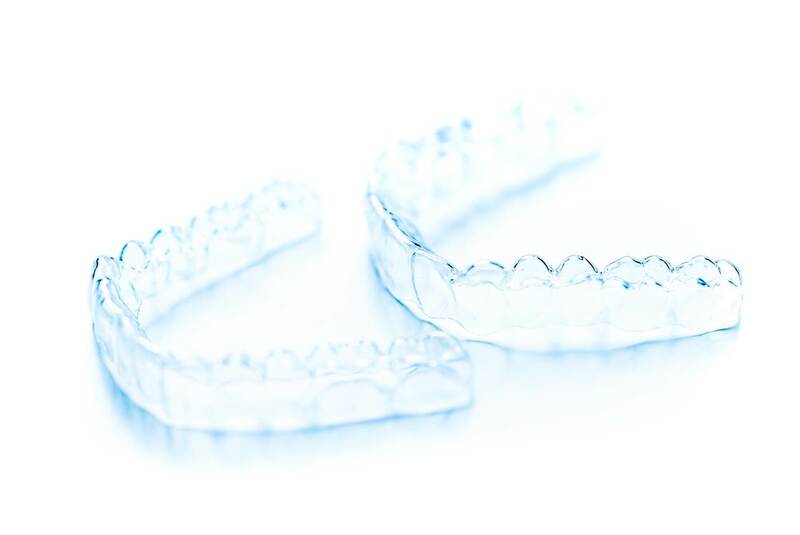 The aligners can simply be removed when eating and brushing the teeth, minimising the impact on normal dental and oral hygiene – a great advantage over fixed braces. IMPORTANT: must be worn at least 20 – 22 hours/day!